These two hazards get plenty of media attention and are quite scary to deal with. Both are troublesome and both are damaging to the health of those exposed. Despite the attention, many people still have questions. What exactly is the difference? Which is worse for your health? Which is more common? This blog post will briefly answer these questions. 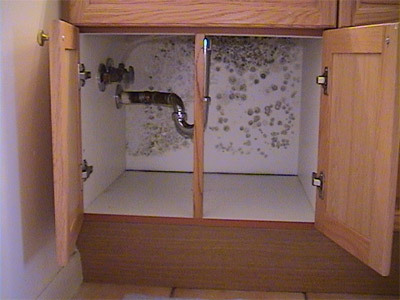 Mold – It is estimated that there are hundreds of thousands of different species of mold. The most worrisome is what is called “black mold” or “toxic mold”. It is a fungus that grows commonly on surfaces such as drywall, wood products, and wallpapers and usually appears black in color. Mold can grow anywhere, on anything and thrives in a range of environments. 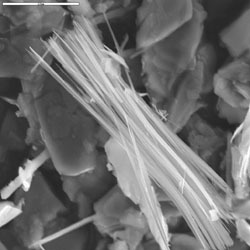 Asbestos – This was a product used commonly in the construction industry over the past two decades. The fibrous material was usually used as insulation but also mixed into paint at times. Asbestos becomes a problem once it begins to start breaking down and deteriorating. Once this happens, particles begin floating throughout the air and looks similar to dust. The amount of time exposed is a large factor when determining the health affects of mold or asbestos. Mold can cause flu and allergy like symptoms. These can range anywhere from coughing to fever, all depending on the type of mold and the exposure time. Asbestos is said to have more intense health affects. According to the US Environmental Protection Agency, asbestos exposure leads to “long-term risk of chest and abdominal cancers and lung diseases,” most commonly mesothelioma, asbestosis, and lung cancer. Mold is a lot more common than asbestos due to the fact that we will never be able to eliminate it. Asbestos has been completely banned from products and is not used in the construction industry anymore. Mold can grow anywhere and will be on this earth long after humans are gone. The conditions needed for mold to thrive are easy to come by. All it needs to grow is moisture and some source of organic material from which to feed. If you feel you may have mold or asbestos in your home or office, call a licensed professional to test the area. Once that is completed get a certified company in to fix the problem immediately.